I'm not the most organized of people. 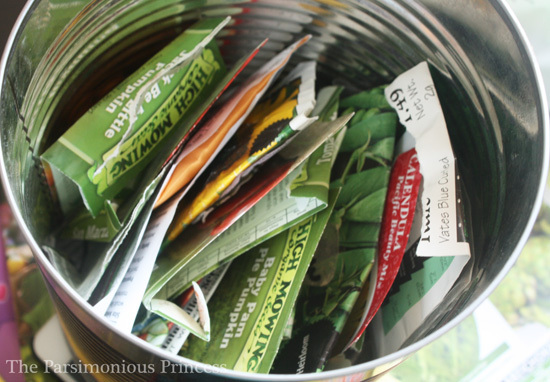 I'm sure there are gardeners out there who have their packets of seeds in special containers, organized into groups, stored at the perfect temperature, and everything is carefully labeled. Honestly, I'm just glad that my seed packets are located one in place for a change. The problem is that with this jumble of packets of seeds, it's easy to lose track of what I've got. There are folded up packets at the bottom, the leftovers from a few seasons ago. There are seeds in a zipper bag with only "Swiss chard" written on it. I have tomato seeds I saved from the yellow heirloom ones my mom grew -- seeing as it's my first time ever trying to save tomato seeds (I always just bought tomato transplants until last year when I grew tomatoes from seed), I've been a little worried that I messed up and they won't work. And even the seeds that are still in their packets from last year, I still wonder if they've been store correctly and if they're still viable (some seeds, like spinach, are called 'short-lived seeds' and are considered to only be good for one season). Frugal gardener that I am, I just can't bring myself to throw out the seeds in question. There's so much potential in those little seeds. At the same time, I don't want to plant them and waste time with seeds that aren't going to grow. What's a frugal, sometimes disorganized gardener to do? Test them. 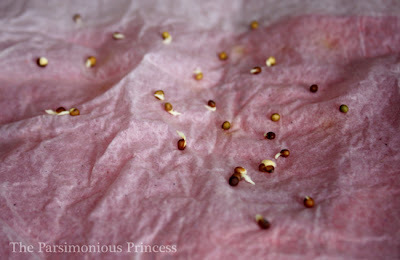 Testing for seed germination is so easy and takes only a couple days (a week at the very most) to do. 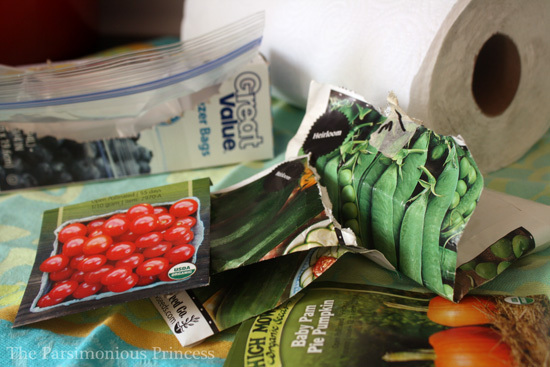 To test your seeds, you only need four things: seeds, paper towels, plastic zipper bags, and water. Moisten the paper towel -- the towel should be wet (not too dry but not dripping, either). 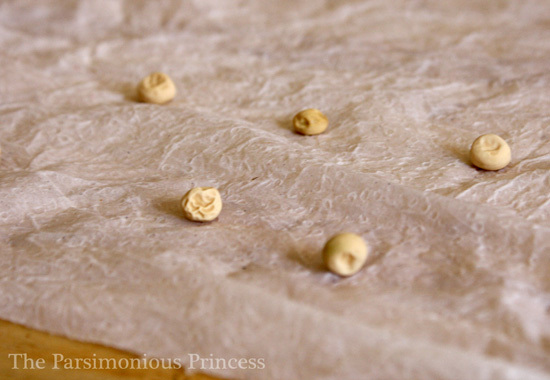 Put ten seeds on that paper towel, being sure to space them out. Why ten seeds? It gives you a better idea how viable the whole package is. According to a post I read about seed germination, if 9-10 seeds sprout, plant your seeds as the packet instructions direct. If only 8 sprout, you've still got a pretty good chance they'll work out. 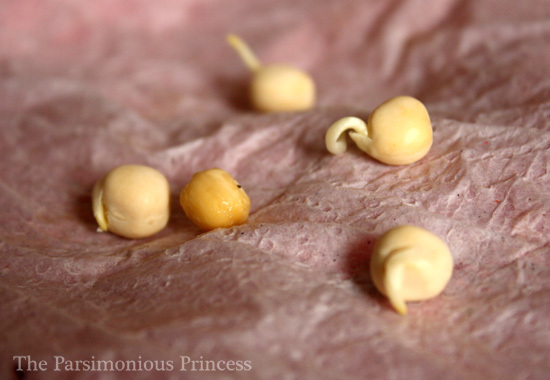 If you get only 6-7 seeds to sprout, you may want to sow more seeds than directed as a back-up. If you get five or less seeds sprouting, buy new seeds. Fold the paper towel over the seeds, then fold again. Put the folded paper towel into a zipper bag; seal it only partially. 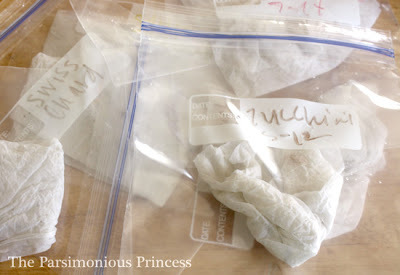 If you are testing out multiple seed varieties, it's a good idea to label the bags. Put the bags in a warm and sunny location (though not in direct sunlight) for a couple days. If the paper towel starts to dry out at any point, re-moisten it (I used a spray bottle). Some were further along than others, but they were all starting to sprout. I'm planting my peas (including the ones I used in my test) this week! If your seeds don't sprout in 2-3 days, don't give up! A few of my seeds (like the Swiss chard and spinach) took a little longer; the tomato seeds I'd saved from last year took about a week for one to even start sprouting (most of the others followed soon after). Thanks for the info! We have a whole bag of seeds lying around from years past, and I was wondering what in the world to do with them! Hopefully, we'll be able to salvage some. Thanks again!